MOSCOW (Sputnik) – Ecuadorian President Lenin Moreno announced the introduction of a number of austerity measures, and even the cancellation of high-level purchases in an effort to alleviate the critical economic situation in the country, local media reported Tuesday. 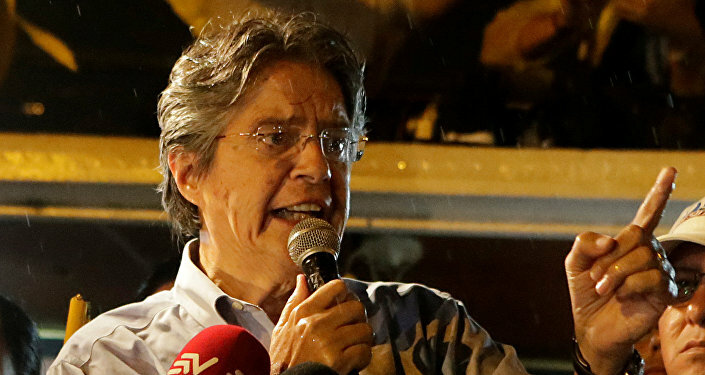 "The economic situation requires the introduction of austerity measures, indeed, but this would not affect the poor," the Ecuadorian president was quoted as saying by El Telegrafo newspaper. According to the media outlet, Moreno has outlined four measures that should address the country's economic crisis, including cancellation of purchase of one of the aircraft for use by high-ranking officials, and selling luxury vehicles used by the government and real estate owned by Inmobiliar state company. Moreno has also indicated that senior civil servants would see a 10-percent cut in salaries. These savings would be used to finance "Casa para Todos" project aimed at creating jobs and providing the neediest groups of the population with housing. In late July, President Moreno had already expressed his intention to revitalize the construction sector, promote foreign investment and reduce public spending. Ecuador's economy has been struggling since 2015 due to a fall in oil prices which caused inflation. The economy was also seriously affected by last year's earthquake, which claimed the lives of 676 people and left over 16,600 injured. The damage caused by the earthquake was estimated at $3 billion by Ecuadorian authorities.